Economists have long argued that Pakistan's official GDP figures significantly understate real economic activity in terms of both production and consumption. And now the State Bank of Pakistan has focused on the production side of the economy in its annual report for Fiscal Year 2014. The nation's central bankers have singled out the economic activity in large scale manufacturing sector as their focus in the latest report. They say that the existing LSM (Large Scale Manufacturing) index was based on Census of Manufacturing Industries (CMI) that was conducted in 2006 which included only those sectors which had significant value addition to Gross Domestic Product (GDP) at the time of census. In the years since 2006 CMI (Census of Manufacturing Industries) census, Pakistan has seen a significant expansion of its middle class along with rapidly growing consumer demand in sectors such as processed foods and fast-moving-consumer goods (FMCG). It's one of several major new sectors whose growth is not reflected in the official GDP figures. According to a report by analysts at Pakistan's Topline Securities that examined 25 consumer firms in various sectors, the 2012 sales of the FMCG firms increased by 17% to Rs. 334 billion while profits grew by 40% to Rs. 24 billion. In the five years between 2008 and 2012, sales of these companies showed a compounded average growth rate (CAGR) of 18%, while profits grew at a CAGR of 20%. Engro Foods, a star performer in the sector, reported 191% increase in profit in 2012 alone, led by the dairy and beverages segment. Other players such as Nestle, Proctor & Gamble and Unilever, have also seen explosive growth with many new plants in production to meet demand. The growth in this sector is not reflected in the LSM component of GDP. Another key area in large-scale manufacturing is plastics industry. Pakistan Plastic Manufacturing Association says there are 6,000 units operating in the country, employing 600,000 people. This sector is producing a broad range of products from household items, industrial containers, medical and surgical items, auto parts, stationery items and PVC pipes. Yet they are not covered in LSM. The SBP report further explained that the LSM data was not being reported in Pakistan in accordance with the International Standard Industrial Classification (ISIC) of United Nations Statistics Division’s defined 22 broad categories of manufacturing. The reporting of LSM is limited to only 15 sectors identified by the ISIC while data pertaining to manufactures of apparels, publishing, printing products and recorded media, fabricated metal products (except machinery and equipment), office and accounting machinery and computers, medical precision and optical instruments and recycling of metal and non-metal waste scrap, is not included as part of Pakistan’s LSM. Pakistan has changed a lot since 2006 in terms of economy and demographics. The World Bank moved Pakistan from a low-income to middle-income country in 2007. Pakistan is much more urbanized and more middle class now than it was in 2006. Pakistan's large scale manufacturing (LSM) sector has changed to respond to meet the rising new product demands of the country's growing middle class consumers. Its time for Pakistan Bureau of Statistics (PBS) to conduct a new manufacturing census and Pakistan Census Bureau to do a population census to paint a more accurate picture of the country's demographics and economy now. Pakistan GDP nominal is no less than 400Billion dollars today,but i will wait for the official change in base year. The Rebasing in 2013 was approved by the caretaker govt but didn't took place,instead few months later Ishaq dar confirmed that the govt will rebase it in the FY 2014-15.Last time musharaf approved the base year to be changed from 1991-12 to 2000 in 2005-06. Data on (India's) gross domestic product (GDP), with 2011-12 as the base year instead of the current 2004-05, are slated to be released on January 31, 2015, which will raise India's GDP size for three years from 2011-12 onwards. Data on the Index of Industrial Production (IIP) and Wholesale Price Index (WPI)-based inflation, using the new base year, will be announced from March 2016. “The new series of national accounts is tentatively scheduled for release on January 31, 2015,” said a statement by the Ministry of Statistics and Programme Implementation. Typically, GDP data of past years are revised on the last working day of January. As such, data for 2012-13 and 2013-14 might be revised on January 31 next year (GDP growth for 2012-13 and 2013-14 stood at 4.5 per cent and 4.7 per cent, respectively). However, if past revisions are a yardstick, there isn’t much hope of a revision in GDP growth. However, in absolute numbers, GDP size of the economy would be increased for 2011-12, 2012-13 and 2013-14. ""State Bank: Pakistan's Actual GDP Higher Than Official Figures Show"
Sahama: That is not unique to Pakistan! Most countries are revising figures that tend to be higher especially developing countries..."
Yes, but the entire fast growing sectors missing is still unusual as is the case in Pakistan now. These sectors have grown to meet the needs of rapidly expanding middle class in the country. Since 1990, Pakistan's middle class had expanded by 36.5% and India's by only 12.8%, according to an ADB report titled "Asia's Emerging Middle Class: Past, Present And Future. Sahama: "Most countries are revising figures that tend to be higher especially developing countries...."
Four years ago, newspapers in India published the intriguing news that their government was likely to benefit from the changes in base year for calculating gross domestic product (GDP) data, as the change would render the fiscal deficit much lower than projected. Neighboring Pakistan then amplified the issue by stating that it explained a statistical paradox on living standards between the two countries. This January, India will again rebase its GDP with a newer base year, and the sneaking suspicion regarding who will benefit remains. Last April, Nigeria, meanwhile, gained the status of the largest economy in Africa, surpassing South Africa after changing its GDP base year from 1990 to 2010. The Nigerian National Bureau of Statistics said that the change would better represent the current structure of the economy. As a result, Nigerian GDP almost doubled compared with when it was calculated from a 1990 base year. Indonesia is set for a similar occurrence with the upcoming economic growth announcement in February. GDP, the main element to measure economic growth, will appear in a new base year: 2010. The year 2000 has been used as a base year for 14 years, or 56 quarters of GDP calculation. Since the base year is essential to develop GDP, it should be renewed or rebased when the economic structure can no longer be appropriately represented by the current base year. However, changing the base year requires a lot of effort and money, especially in developing countries where administrative data are not yet sufficiently available. Taking these points into consideration, the Central Statistics Agency (BPS) has decided to rebase GDP from base year 2000 to base year 2010. The base years prior to 2000 were 1993, 1983, 1973 and 1960. Resetting the base year is usually accompanied by introducing a new classification of GDP components, either components in GDP by expenditure or GDP by industry. Every change in base year usually presents more detailed component classifications of GDP. More importantly, rebasing usually changes GDP levels because of improvement in methodology, coverage and data source quality. As the result, the level of GDP will likely rise. After changing the base year from 1993 to 2000 a decade ago, Indonesian GDP in 2000 at current prices was Rp 1.27 quadrillion (US$100.64 billion) using 1993 as the base year, but higher by 9.87 percent using 2000 as the base year. This means there was an additional Rp 125 trillion in nominal GDP amount for the same economy. Changing the base year from 1983 to 1993, GDP for the year 1993 also came out in two versions. The first version based on 1983 amounted to Rp 302 trillion and the second version based on 1993 totaled Rp 329 trillion, an increase of Rp 27 trillion. However, the economic growth figure will not be affected significantly, neither upward nor downward. Rebasing mostly affects the size of the economy, not the growth. This is because as regards the growth, the principle of comparability should be applied as a new set of items can only be compared with another new set of items. Put briefly, an apple can only be compared with an apple. Nevertheless, the above statement is open to criticism. This is because new data coverage added to the GDP calculation will surely bring a new set of commodities. And as new commodities, they stick to the rule of industrial life cycles, which states that new commodities grow more quickly than old commodities. Consequently, overall growth will likely be higher than the old series, although in many cases, the difference is negligible. Pakistan has a score of 54.1 and ranks 16 while India has a score of 50.9 and ranks 37 among 151 countries on Happy Planet Index 2014. Inshallah, revaluation of GDP figures will show Pakiland to be much richer than suspected. However, correct as that is, I suggest you make this suggestion only from the safety of the Net and from the streets of Pakiland. The aam abdul is in a bad mood with the power and fuel shortage and may take your findings in a completely wrong sense. Majumdar: "The aam abdul is in a bad mood with the power and fuel shortage and may take your findings in a completely wrong sense." However, the under-reporting of GDP and fuel shortage are both systems of the same poor governance and government dysfunction. Any progress in Pakistan is in spite of, not because of its leadership. More than the GDP figure alone, the year on year change in GDP is considered vital. We have low savings rate, our exports are not diversified and relatively experiencing lower growth, there is little investment in the inefficient power sector, the security of the nation and very little foreign investment. China has promised more investment but that has not yet materialized. All these factors among many does not bode well for future growth of the economy. Kadeer: "More than the GDP figure alone, the year on year change in GDP is considered vital." Ignoring the fastest growing sectors of the economy results in understatement of growth rate as well as GDP. With over 100 million people below the age of 30 aspiring to change their lives, the rise of Pakistan is just a matter of time, Morgan Stanley Chief Investment Strategist David M Darst said on Tuesday. David Martin Darst, an investment strategist, writer and an incorrigible optimist, visiting Pakistan on the invitation of Aga Khan Univer­sity Hospital, said while talking exclusively to Dawn. Currently he serves as a senior adviser and a member of Morgan Stanley Wealth Management Global Investment Committee, the company he joined in 1996 from Goldman Sachs. Counting Pakistan’s blessings, he mentioned demographic bonus, its geography, vibrant media, entrepreneurial bent, assertive judiciary, history and rich cultural diversity, pool of overseas Pakistanis remitting sizeable monies, deep-rooted faith, existence of family and community. He considered future outlook good for Pakistan and bracketed it with nine emerging economies that have collective potential to outperform giants, like China and Japan, in the next four decades. He reposed confidence in the country’s capital market which he thought can attract big inflow of portfolio investment on the strength of its comparative performance. David, who was in the office of Morgan Stanley at the World Trade Centre when it was attacked on Sept 11, 2001 and was amongst fortunate people who left the building before it collapsed, did not sound bitter. He first came to Pakistan about 20 years back and likes to return to the country at every chance that comes his way. “This is my 10th visit. I have seen a few cities and been to up north. I think Swat and other hill-stations are amongst most beautiful places I have ever been to. The more I know the country, the more I like it,” he mused. He said Pakistan is the middle child of Asia, neither big, nor small and would play a decisive role in setting the direction for the region. “The family goes the way of the middle child,” he quipped lamenting the negative world image of Pakistan that has failed to acknowledge its contributions, inclu­ding the size of its participation in UN peace-keeping forces in difficult environments. The general public is expecting low inflation in coming months, a recent survey shows. Lower expected inflation for the next six months is the dominant view among the respondents of the January edition of the Consumer Confidence Survey, which is jointly conducted by the State Bank of Pakistan (SBP) and the Institute of Business Administration (IBA) every two months. The survey covers three broad themes: overall consumer confidence indices, inflationary expectations and other key highlights about households’ perception of important indicators. It reveals Pakistanis believe prices of everyday items and services will increase at a slower-than-usual pace in months ahead. It is important to note that the expectations about inflation actually play a most significant role in determining the overall price level in an economy. Economists believe prices go up partly because people expect them to rise. According to a recently released research paper on inflation expectations and economic perceptions written by researchers at Yale University and the SBP, inflation expectations are ‘systematically exaggerated’ in developing countries like Pakistan. The paper concludes that the bias is entrenched for low-income, less educated, female and younger respondents. 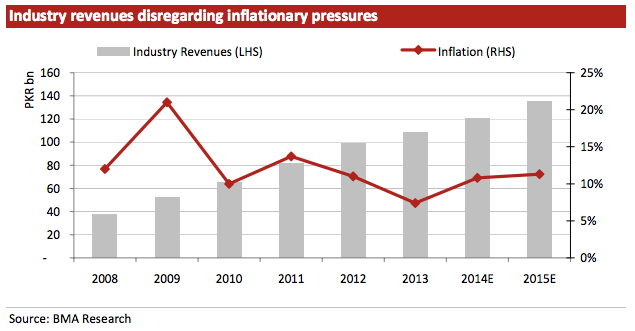 “We also find that the recent fuel and energy price (revision) announcements play an important role in determining perceptions of inflation, which suggests that these commodities play an anchoring role for inflationary expectations,” it said. Perhaps it explains why Prime Minister Nawaz Sharif personally announces every time fuel prices are adjusted downwards. Hearing their prime minister announce a cut in petroleum prices clearly dampens overall expectations about inflation. Going by the recent shift in respondents’ perceptions about economic conditions, Sharif’s strategy is clearly working. The survey uses the Consumer Confidence Index (CCI) to measure households’ perceptions about the economy. Showing an increase of 10.4% over the last survey released in November, the CCI stood at 153.93 points in January – its highest level since its inception three years ago. Similarly, both sub-indices of the CCI, which measure households’ current and future economic conditions, registered a significant rise in January over November. Year-on-year inflation during the first half of the current fiscal year clocked up 6.1% compared to 8.9% recorded over the same period of preceding fiscal year. According to Taurus Securities Head of Research Zeeshan Afzal, declining prices of global commodities, lower food inflation, base-effect of major electricity price hikes of October 2013 and lower government borrowings from the SBP resulted in a prolonged dip in inflation. He expects inflation will remain between 4% and 5% during January-June. The central bank brought down the key interest rate last week by 1% to 8.5% mainly on the back of declining inflation. It has also revised its inflation forecast for 2014-15 from 8% to 4.5%-5.5%. The percentage of households expecting a decline in the prices of energy items over the next six months in January was 12.2% as opposed to only 4.7% in November. The percentage of households anticipating a decrease in the prices of food items over the next six months in January was 7.1% as opposed to 3.9% in November. The survey also revealed that 15.7% of more than 1,800 surveyed households were ‘positive’ about government policies in January as opposed to just 10.7% in November. Similarly, the percentage of households expressing interest in buying a car or a house in the next six months also increased in January compared to November. State Bank of Pakistan (SBP) Governor Ashraf Mehmood Withra has said that Pakistan’s economy was improving day-by-day. Talking to Pakistan Television, he said that foreign reserves were increasing, while inflation was decreasing due to the economic policies of present government. Efforts were being made to achieve the GDP growth rate of seven per cent. To a question, Withra said that a good response was received for the the Eurobond. The governor said that steps were taken to ensure merit and enhance professional capability of the SBP staff. Some of them were sent abroad for improving their skills in relevant fields. To another query, he said that the SBP had good working relations with private and public sector institutions. The year-on-year inflation rate in Pakistan has dropped to 3.88% in January from 4.3% in December and the latest number is a multi-year (11-year) low (on falling energy prices). The Pakistani rupee fell to a near two-month low on 2 February as official data showed price pressures further eased in the South Asian country. The year-on-year inflation rate in Pakistan has dropped to 3.88% in January from 4.3% in December and the latest number is a multi-year low. USD/PKR rose to as high as 101.40, its highest since early December, and up from the previous close of 101.10. At the highest of the day, the rupee was down 0.3% against the greenback. The Pakistani currency has been on a downtrend since mid-December and as of now, the USD/PKR pair is testing the 38.2% Fibonacci retracement of its October-December selloff. A break of the current level will take the pair to 101.80 before hitting the 102 level. The nearest 102 level to watch out for is 102.17. The 14-day moving average has not broken above the 50-day mark as yet, despite the upward correction in the pair since December, and such a break will trigger a more important buy signal. However, the 101 support has to hold for more upsides in the pair. If it breaks below that level, then the next level to watch will be 100.21 before testing levels below 100. Pakistan has witnessed a 100 percent increase in currency in circulation from Rs. 1,224 billion to Rs. 2,500 billion during the last five years, said Kazi Abdul Maktadir, Deputy Governor Operations, State Bank of Pakistan. Every year, on average, 1.9 billion pieces of currency notes of various denominations are printed from 2009 to 2014. He was addressing participants of Conference on Currency Management: Strategies for the Future, organized by State Bank of Pakistan at a local hotel in Lahore today. Muktadir said that to better manage the rising levels of currency in circulation, improving quality of banknotes in circulation and bringing sophistication in the currency management processes, SBP is now moving ahead with the procurement of state-of-the-art cash handling machines for sorting, bundling, and shredding. With one-stop solution machines that will be capable of sorting, detecting counterfeit, shredding, preparing packets and bundles SBP aims to bring efficiency in the area of banknote processing through latest technology. 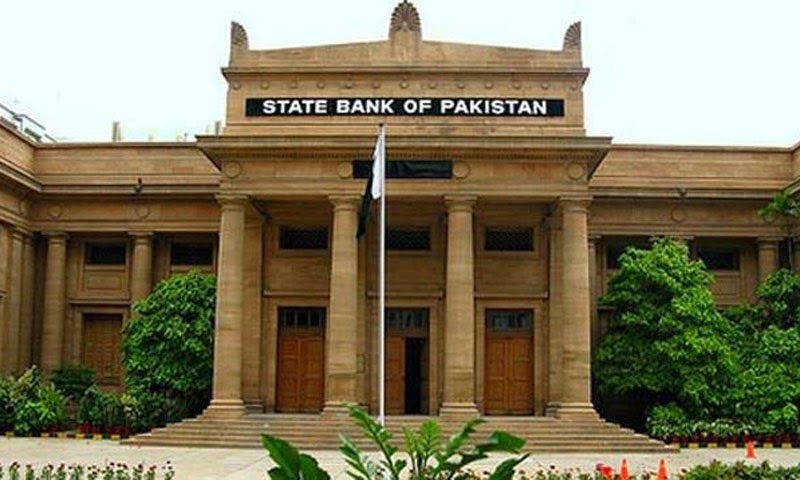 Acting Governor State Bank of Pakistan Saeed Ahmad has said that the SBP sees total transformation of cash processing business from manual to automation in next five years and thus would like to see commercial banks aligning their plans with State Bank in this direction. He said that banknotes are face of a central bank and ensuring circulation of clean notes, removal of soiled and counterfeit notes, and redistribution of fit notes in the system is amongst key responsibilities of the SBP as all necessary steps are being taken to this effect. Saeed Ahmad elaborated that the SBP has been making extensive efforts to implement its clean notes policy for the last 10 years but with limited success largely due to lack of automation in cash processing. “We have thus planned fast track automation of currency management function both at the central bank and commercial banks level,” he added. He also underscored the role of commercial banks in automation of their cash processing systems. The Acting Governor elaborated that automation of cash processing at SBP is necessary but it could not be effective in achieving its objective of ensuring adequate and uninterrupted supply of high quality and clean banknotes across the country unless commercial banks also automate their cash processing systems. The central bank is developing a documentary for educating the masses about the security features of banknotes. Further, a smart phone application on Pakistani banknotes designs and security features is also being developed for enhancing public awareness. International Monetary Fund, or IMF, has raised GDP growth outlook for Pakistan to 4.7 per cent in financial year 2015-16 and said the country is expected to achieve 4.3 per cent year-on-year growth in current fiscal year ending on June 30. Outgoing IMF mission head for Pakistan Jeffrey Franks said fund has scaled up its gross domestic product (GDP) growth forecast for Pakistan from 4.4 per cent to 4.7 per cent during July-June 2016 period as the country’s economy is in better shape after the implementations of economic reforms in the past 18 months. “The sharp drop in oil prices represents an historic opportunity to reduce the vulnerability of the economy by building stronger fiscal and external buffers,” Franks told Khaleej Times on the sidelines of joint Press conference with Pakistan’s Finance Minister Ishaq Dar in Dubai on Thursday. He said unexpected decline in oil prices gives $4 billion cushion to Pakistan economy and the government should utilise the advantage to address some of the long-standing imbalances in the energy sector. “Some progress has been made in addressing the structural impediments to higher and more inclusive growth, but few important challenges remain and need to address for sustainable stable economy,” he said. Elaborating, he said the government should take appropriate steps to enhance the independence of the central bank, resolve energy sector deficiencies on permanent basis, complete the legal framework for deposit insurance and privatise or restructure public enterprises. Dar expressed the hope that Pakistan economy is on track to achieve its GDP growth target of 5.1 per cent during current financial year 2014-15 as all the major economic indicators are on positive trajectory. “IMF always gave a cautious outlook, but we are confident of achieving our 5.1 per cent GDP growth target despite some challenges in the country,” Dar said. To a question, he said Pakistan economy suffered significant losses due to sit-in protests and fall in oil prices, but the PML (N) government led by Prime Minister Nawaz Sharif managed to overcome the crises due to prudent economic policies, financial discipline and strict control on expenditures. Dar also highlighted the economic reforms undertaken by the government since June 2013 and expressed his satisfaction over the performance of the economy. “I assure you that Pakistan economy is moving in right direction and will achieve higher growth rates in future,” he said. Governor of the State Bank of Pakistan Ashraf Wathra said the country has potential to register even higher growth rate in medium term. “Pakistan has a proven history of achieving six per cent-plus growth in the past. We have to revive the economy and hit at least seven per cent GDP growth in coming years,” he said. India’s radically revised gross domestic product data have apparently left economists dazed and confused because they are uncharacteristically silent about what growth was last quarter. India is scheduled to announce GDP figures for the quarter ended Dec. 31 on Monday but instead of the regular rush of forecasts, economists seem to have created a cartel of silence, choosing not to make predictions using India’s new methodology. Last week India surprised all the experts by recalculating GDP growth for the fiscal year ended March. Using a new calculation method, India’s economy expanded 6.9% that year, well above the 4.7% growth the country had announced earlier. The change happened because the government brought forward the base year used in GDP calculations by seven years to fiscal 2012. It also switched from using production costs to market prices. While the headline growth figure shot up with the new calculations, the absolute GDP figure was basically the same as it was before, making it hard for economists to figure out exactly where the new-found growth came from. Meanwhile, the government didn’t give the revised quarterly data or new calculations for this year. “We are completely blind at the moment,” said Saugata Bhattacharya, chief economist at Axis Bank. While the new numbers suggest that last year the economy was rebounding strongly, some economists are still skeptical. Most other indicators that year suggested growth was sputtering, they said. That’s something economists are finding hard to digest given other indicators such as industrial production have pointed to weakness. With a lot of questions about the new data still remaining unanswered, economists are only estimating growth for last quarter based on the old method even though the government won’t be announcing those numbers anymore. Forecasts of eight economists surveyed by The Wall Street Journal using the now-outdated method range between 5.0% and 5.5%, compared with the 5.3% expansion in the September quarter. While few will venture a guess on what numbers will be announced Monday, “the broader picture is that the economy is improving,” said Axis Bank’s Mr. Bhattacharya. All very nice, but perhaps it’s not the upward revision to the growth rate we should concentrate on. For one, despite expectations of an increase in absolute GDP by up to 10 per cent, we got a verdict of “no change”. Colour those, like Mishra, who saw room for a serious upgrade, surprised. More on that below from Capital Economics but, for comparison, the past three series changes have coincided with upward revisions to the GDP, led mostly by services. All three industry components: mining, manufacturing and construction were raised. We expected this, and resulted from a larger data set (500,000 enterprises vs. 2500 earlier). For what it’s worth, in our view agriculture is still under- reported: as an example, in the new livestock census (that fed into this GDP), we had noticed the poultry population didn’t reflect the growth in chicken meat consumption and exports. Buffalo population was also incongruent with rising beef exports. The biggest surprise though is on the cut to services GDP: the largest cut coming from trade and transport. This is a bit counter-intuitive as millions of new stores have sprouted up all over the country. 1) What’s happened to nominal GDP? On the market price measure of GDP (which the Statistics Office has said it will now use instead of the factor price series) nominal GDP in FY13/14 was almost identical to what it was under the old methodology, while estimates for FY11/12 were revised lower. (See Chart 1.) We find this puzzling, as downward GDP revisions following rebasing exercises are unusual in emerging economies. Normally, rebasing uncovers new or under-measured sources of activity. It also seems an improbably coincidence that overall nominal GDP for the last fiscal year was the same even as weights of different components have shifted. (See Chart 2.) This would imply that the effect of giving more weight of faster growing sectors almost exactly offset the effect of giving less weight to slower growing ones. 2) What do the revised data mean for key macro indicators? Much of the comment has focussed on the fact that the revised data would imply a smaller current account deficit, and a healthier fiscal position. But given that nominal GDP has remained almost exactly the same, this isn’t the case. 3) What do the revisions tell us about growth in the current fiscal year? In short, not a lot. The revisions have yet to be applied to quarterly data from this fiscal year, meaning that the latest GDP numbers are redundant for now. We suspect that the most recent quarters will be revised on 9th February, when data for Q3 of FY14/15 are due. 4) Are the new GDP data consistent with other indicators? The revisions are difficult to square with other indicators pointing to continued slack in the economy. Even if we discard the industrial production data (which presumably now also need rebasing), soft survey data show that capacity utilisation is low. There is plenty of evidence in the hard data too. For example, vehicle sales contracted by nearly 7% in the last fiscal year. The revisions also jar with movements in the current account deficit, which narrowed sharply in FY13/14. Admittedly, this was in part due to the imposition of gold import restrictions as policymakers aimed to fend off a currency crisis. But imports more generally also fell sharply in this period, suggesting a cooling-off in domestic demand. It is extremely rare for an economy to record such as sharp pick-up in growth even as domestic demand slowed so dramatically. India’s “new and improved” GDP statistics are asking investors to suspend their disbelief. Revised data suggests that growth zoomed in the year to last March, just as the country tightened fiscal and monetary policies to tame inflation, narrow the current account deficit and prevent a currency crisis. Such a thing has not happened in any major economy in at least three decades. The new calculations, released on Jan. 30, have moved the measurement of national income closer to international norms. But in doing so, India’s official statisticians have produced a puzzling new version of history: the old numbers put the expansion in output in fiscal 2014 at a pedestrian 4.7 percent. Under the new method, growth that year accelerated to 6.9 percent. The original number was more realistic, and not just because a second year of sub-5 percent growth played a role in helping opposition leader Narendra Modi become prime minister with a landslide election victory. In the first quarter of that fiscal year the U.S. Federal Reserve hinted at tapering its quantitative easing programme. The rupee collapsed as investors baulked at financing large external deficits in emerging markets. India had to raise interest rates, restrict gold imports and curb budgetary excesses. Though a cheaper currency helped boost exports somewhat, oil prices were still high. The massive fall in imports couldn’t have taken place without domestic demand taking a hit. By the end of the fiscal year, India’s dependence on foreign capital inflows had dropped by 3 percentage points of GDP. The amended statistics show the same picture. But this lesson in self-reliance now appears to have been puzzlingly painless. The new calculations show growth accelerating by 1.8 percentage points, from a revised 5.1 percent in fiscal 2013. That conclusion stretches credulity. No large economy has pulled off such a big improvement in its external balance at the same time as such a handsome pickup in output, according to a Breakingviews analysis of 189 nations over 33 years. Indian officials will most likely have to revise their conclusions. For now, though, investors will miss the old data. For all its faults, it was a more reliable compass. India’s posh new GDP statistics look too good to be true. Late last month, the statistics ministry said it was updating the base year used as the reference point for measuring price changes, as well as incorporating newer, more-comprehensive data into its GDP calculations, which aim to measure the country’s total economic output. The ministry also shifted its focus to GDP computed at market price, not at factor cost, as its main indicator of economic expansion. Market-price GDP gauges activity by adding up consumers’ and firms’ spending, whereas factor-cost GDP tabulates producers’ costs. The first growth estimates produced using the new methodology showed growth in the previous fiscal year, which ended last March, well above what was originally announced: 6.9% instead of 4.7%. The size of the economy, however, was relatively unchanged. That revision seemed difficult to square with the events of that year, in which the threat of tighter monetary policy by the U.S. Federal Reserve roiled emerging markets and provoked emergency intervention by India’s central bank. Monday’s data included bumped-up estimates of growth for the current fiscal year as well. Growth in the three months that ended in September was revised to 8.2% from the original estimate of 5.3%. And in the quarter before that, the official growth rate was changed to 6.5% from 5.7%, indicating substantial acceleration between those two quarters instead of a slight slowdown as previously estimated. The latest figures, which describe the economy’s performance since Prime Minister Modi took office last spring, also seem much stronger than what other data imply. Mr. Modi has taken some steps to improve the business environment and streamline bureaucratic procedures. Indian companies announced $64 billion in new investment projects in the fourth quarter of 2014, by one estimate—the highest level in four years. But they don’t appear to be putting big money on the table yet. Exports in December shrank 3.8% in dollar terms from a year earlier. Financial constraints are a major reason investment hasn’t picked up. Corporations are burdened with debt and banks are reluctant to lend. Finance officials have said the government budget for the coming fiscal year, which will be unveiled at the end of this month, will likely include substantial investments in railways, roads and housing to compensate for weak investment by private firms. Such indications of subdued activity have vexed economists trying to understand the new, peppier GDP figures. “We are still trying to connect the dots,” said Dharmakirti Joshi, chief economist at the Mumbai-based rating agency Crisil. He said that for him, the main difficulty for forecasting India’s future growth is that different indicators now paint divergent pictures of manufacturing activity. For the previous fiscal year, the government’s index of industrial production showed manufacturing activity slowing by 0.8%. The new GDP data, meanwhile, show a 5.3% jump in manufacturing for that year. “There’s a big disconnect,” Mr. Joshi said. The Pakistani government expects to raise about $600 million next month selling a stake in Habib Bank Ltd., the nation’s biggest lender by assets, before undertaking deals for electricity distribution companies and Pakistan International Airlines Corp. The government owns 609 million shares of Habib Bank, or a 42 percent stake, and it will offer a minimum of 250 million shares, Privatization Commission Chairman Mohammad Zubair said in an interview in London on Friday. “People are taking much more interest because the government is coming up with transactions every two months,” Zubair said. Prime Minister Nawaz Sharif aims to raise $2 billion from asset sales in the year ending June 30 to meet conditions attached to a $6.6 billion International Monetary Fund loan. He wants to curb his budget deficit and bring greater efficiency to state-owned companies. Habib Bank shares fell 0.2 percent to 205.05 rupees in Karachi on Feb. 20. The stock has gained 40 percent in the past year, compared with the 33 percent advance in the Karachi Stock Exchange 100 index. A decision on the discount the shares will be offered at won’t be taken until just before the actual sale in late March, Zubair said. Pakistan sold a stake in United Bank Ltd. last June at a 7 percent discount and shares in Allied Bank Ltd. in December at a 3 percent discount, Zubair said. His focus then will turn to selling the first of nine state-owned power distribution companies. Zubair said he aims to invite bids for the electric supply company in the city of Faisalabad within about six weeks, with a goal of completing the deal by the end of September. “There are buyers out there,” Zubair said. Pakistani and Chinese companies are among those who have expressed interest, he said. The appeal of the companies is “clear. There is known demand, and it is growing. The challenge is to collect revenue,” he said. The intention is to complete the sales of all nine distribution companies by June 2016, Zubair said. “We believe that unless you take them all together, it would be difficult to complete the process,” he said. Financial advisers already have been appointed for the first four of the companies. The government also will seek to complete the sale of a stake in Pakistan International Airlines Corp. by March 2016, Zubair said. The transaction will focus only on the “core” airline unit, with other operations such as ground-handling and catering being kept by the state, he said. The asset sale program experienced a setback when political turmoil and falling oil prices prompted the government to suspend its sale of shares in Oil & Gas Development Co. Ltd. in November. A month later, the government sold an 11.4 percent stake in Allied Bank for $144 million. Pakistan’s central bank unexpectedly cut its benchmark interest rate to the lowest in 42 years in an attempt to spur economic growth as inflation slows in the sixth-most populous nation. The State Bank of Pakistan lowered the discount rate for a fourth straight meeting to 7 percent from 8 percent, central bank Governor Ashraf Mahmood Wathra said Saturday in Islamabad. That’s the lowest since August 1973. Fourteen of 15 economists in a Bloomberg survey predicted a cut to 7.5 percent; one saw a reduction to 7 percent. Inflation in South Asia’s second-largest economy has eased each month this year as transport and food prices fell, giving the central bank room to boost growth that the International Monetary Fund predicts will be slower than previously forecast. Pakistan’s benchmark stock index is the third-best performer in the world since 2009, according to data compiled by Bloomberg. Textile shipments make up almost half of the exports in the fourth-largest cotton and rice producer. The central bank announced a new target for the overnight repo rate at 50 basis points or half a percentage point below the benchmark to better manage liquidity in the interbank market as part of the IMF loan program. The new rate is part of a band where the benchmark is the ceiling and repo is the floor. The floor rate has been set at 5 percent after reducing the band by 50 basis points, according to a bank statement on the website. Saturday’s decision came after the IMF this month scaled back Pakistan’s growth forecast for the year through June to 4.1 percent from 4.3 percent and 4.5 percent from 4.7 percent for the following 12 months. The country is still making “significant progress” in meeting targets under a $6.6 billion loan program and the next tranche of $506 million may be released by mid-June, IMF Pakistan mission chief Harald Finger said this month. The latest rate reduction will probably be the last for several months as a rebound in oil costs will spark price pressures, economists said. Inflation will average about 4.2 percent in 2015 before accelerating to 5.4 percent in 2016, according to a Bloomberg survey published in April. Consumer prices rose 2.11 percent in April, the slowest rate in Bloomberg data going back to 2009. Standard & Poor’s and Moody’s Investors Service have raised their outlooks on Pakistan’s credit rating to positive from stable since March. The firms cited Pakistan’s improving financial position and growth prospects as Prime Minister Nawaz Sharif sells state assets and courts Chinese investment to help narrow the budget deficit. Pakistan’s food and beverage exports to the United Arab Emirates (UAE) have increased 27% in the last three years, making it an area worthy of attention after textiles, said the consul general of Pakistan in Dubai. While rice remains the country’s top export commodity to the Emirates, the food segment remains a potential area as Pakistan continues its fight to increase foreign exchange revenue through exports. “Pakistan’s food and agro-products exports touched $0.5 billion last year compared to 2012’s number of $362.4 million,” said Commercial Counsellor of Dubai Consulate Saeed Qadir, adding that Pakistan had boosted sale of its traditional agricultural products and expanded reach into areas such as processed meat and poultry products, tea, concentrated milk and cream, certain fruits and vegetables, spices, herbs and confectionaries. Rice remains Pakistan’s leading food export to the UAE. According to TDAP figures, Pakistan’s rice sales jumped 11 fold to $207.8 million compared to the last two years. Meat and processed frozen food exports crossed the $100 million mark in the last three years. As for fruits and vegetables, exports increased over 100% in three years. Sales of dried fruits and vegetables to the UAE rose to $9.7 million and $7.8 million, respectively. Exports of potatoes reached $5.9 million last year – an eight-fold increase compared to the 2012 figures, while fresh and frozen meat exports crossed the $50 million mark. “Moreover, for this sector, there awaits a major export push as more than 90 Pakistani companies are taking part in the Gulfood 2016; the world’s largest annual food and hospitality trade platform, scheduled in Dubai later this month,” said the CG. “In this exhibition, Pakistani exhibitors will be looking to source new buyers for a wide range of Pakistani food and agro sector products including fresh and frozen foods, rice, fruits and vegetables, sauces, nuts, sweets, confectionery and tea,” said Consulate General of Pakistan, Dubai Consul General Javed Jalil Khattak. “Buyers can leverage Pakistan’s cost-competitiveness, lower transport costs and delivery time, and the quality, freshness, taste and aroma of our diverse produce”, he added. The Pakistan pavilion at Gulfood 2016 will feature among 117 national and trade association pavilions. There will also be a first-time group participation from Russia, Costa Rica, Belarus, Mauritius and New Zealand (returning after a six-year break). In all, some 5,000 international companies from 120 countries and more than 85,000 food and beverage, wholesale, retail, distribution and hospitality professionals from five continents will take part in the event. Data released by global macroeconomic research firm, BMI International, shows that Pakistan remains a buoyant market for consumer sales and food and beverage investment. The firm is forecasting a 9.9% per capita compound annual growth rate (CAGR) in food consumption until 2019, a 3.2% per capita CAGR growth in domestic soft drinks sales and 9.5% per capital CAGR in mass grocery retail sales. “There are enormous business opportunities emerging in Pakistan for both food and beverage imports and exports, as evident by the recent international investment in manufacturing plants in Karachi, Multan and Islamabad,” explained the Exhibitions and Events Management Dubai World Trade Centre Senior Vice President Trixie Lohmirmand. A Dutch dairy cooperative is set to buy out a Pakistani food giant with an investment of around $460 million, in what would amount to the largest private sector takeover by a foreign firm in the country’s history. FrieslandCampina International Holding BV intends to acquire a 51 per cent stake of Engro Foods Limited, one of the largest listed companies at the benchmark Pakistan Stock Exchange (PSX), a notification on the bourse’s website said Thursday. The deal would bring in a minimum investment of $460 million based on the Pakistani firm’s present stock value. “Yes, it is the largest ever deal in the private sector,” analyst Faisal Shaji, head of research at Standard Capital Securities, said. Citibank Pakistan is the financial advisor. Shahji added the deal would be closely watched by international investors eyeing the emerging South Asian economy. “Pakistan is already in the radar range of the world corporate sector and this deal further lifts its image outside,” he said. If finalised the Dutch takeover would boost Pakistan’s foreign direct investment statistics. FDI was down by 57 per cent to $336 million in Pakistan for the first seven months of the current financial year compared to the corresponding period in the last financial year ending June 2015. Pakistan expects its economy to grow by 4.5 percent for the 2015-16 financial year due to lower oil prices, planned improvements in the energy supply, investment related to the China Pakistan Economic Corridor (CPEC), buoyant construction activity, and acceleration of credit growth. Britain's biggest retailer Tesco (TSCO.L) will stock its products at a Pakistani supermarket chain, a Tesco official said on Thursday, dipping its toes in a country of nearly 200 million with rising consumer spending and a growing middle class. Tesco has been expanding rapidly in emerging markets to bolster sluggish growth in western Europe and is among a growing band of companies attracted by Pakistan's fast-growing consumer market, encouraged by the highest economic growth since 2008 and improved security. "We have agreed on a wholesale partnership with Alpha Supermarkets in Pakistan, under which Tesco products will be stocked at two of its stores," Jared Lebel, head of new market development at Tesco, told Reuters. He said that Limestone Private Limited, which owns the Alpha Superstores chain, planned to open 50 smaller express stores and four Alpha stores stocking Tesco products within the next three years. "We are excited about Pakistan as a market," Lebel said. "A big factor in coming to Pakistan is rising consumer spending." A spokesman for Tesco in London said: "We're looking forward to seeing how customers respond." Fauzia Khuhro, head of business development at Limestone, told Reuters that Tesco products would hit its shelves in about 10 days. "Alpha Supermarkets will be the only retailer in Pakistan that stocks Tesco private-label products," Khuhro said. "We will offer a complete range of Tesco product categories, from food and non-food items to frozen and fresh foods." Tesco's partnership with Alpha Supermarkets was announced by British High Commissioner Thomas Drew and Limestone at a press briefing in Karachi on Tuesday. Pakistan’s fast-moving consumer goods segment is set to see fresh investment after Unilever Plc – a Dutch consumer goods giant – announced foreign direct investment (FDI) of $120 million (Rs11 billion) for expansion of its operations in the country over the next two years. The announcement comes as a welcome sign for Pakistan that has suffered from low levels of FDI in recent years. “A majority of the investment will be made to enhance manufacturing operations across Unilever’s four factories in Pakistan over the next two years,” a statement quoted the company as saying on Monday. The company manufactures about 30 brands in the areas of home care, personal care, foods, beverages and ice cream in Pakistan. “Unilever is aiming to make it (Unilever Pakistan) a billion-euro firm next year (by December 2019) from 800-810 million euros (in revenues) at present,” company’s Senior Manager Corporate Affairs Hussain Ali Talib told The Express Tribune. “In 2013, Unilever Overseas Holdings, which is a majority shareholder in Unilever Pakistan Limited, invested over €400 million ($530 million) in Pakistan, which is the single largest foreign direct investment in the recent history of Pakistan,” the statement said. It called Unilever’s operations in Pakistan amongst the best performing business units within Unilever’s global operations. “The new investment reaffirmed Unilever’s strong commitment to local operations and to Pakistan’s economic potential,” it said. The announcement about the investment was made by a delegation of Unilever Pakistan in a meeting with Adviser to the Prime Minister on Finance Miftah Ismail. “The investment is indeed an acknowledgement of the country’s growth potential and the macroeconomic stability it has gained over the last four years,” the statement quoted Ismail as saying. The planned investment supports Pakistan’s narration of being a growing economy with over 70 million middle-class population out of a total of over 200 million. Pakistan has been on the radar of foreign investors over the past couple of years. FDI increased 15.6% to $1.94 billion in the first eight months (July 2017 to February 2018) of the current fiscal year from $1.68 billion in the same period of previous year, according to the State Bank of Pakistan. Overseas Investors Chamber of Commerce and Industry Secretary General M Abdul Aleem recently said many European investors in the auto, infrastructure and liquefied natural gas (LNG) import terminal sectors would make major investment decisions for Pakistan in the near future. Some of them were waiting for regulatory approvals to initiate the investment process in Pakistan, he said. In the previous fiscal year 2016-17, the country had received $2.73 billion in FDI. The global market for printing is forecast to US$ 898 billion. Asia contributes 39% which is estimated at US$ 350 billion. Pakistan’s estimated Print Market is around US$ 4.5 billion. In Pakistan, PAPGAI is the only representative body and is registered with Ministry of Trade & Commerce and incorporated with Security Exchange Commission of Pakistan. Pakistan has changed a lot since the last time the GDP was rebased. There are many new sectors and categories of products such as fmcg and services like data services being offered to meet the demand of the growing middle class. These products and services are currently left out of the official GDP calculation. Just rebasing the GDP to 2015 will result in significant upward revision.